GERALD LAING (1936 – 2011) was one of the first British pop artists, with an early success which soon took him from London to New York. After this, in the mid-1970s, Laing went through a period of minimalist sculpture, followed by a relocation to Scotland (where he resurrected Kinkell Castle) and became interested in representational sculpture. 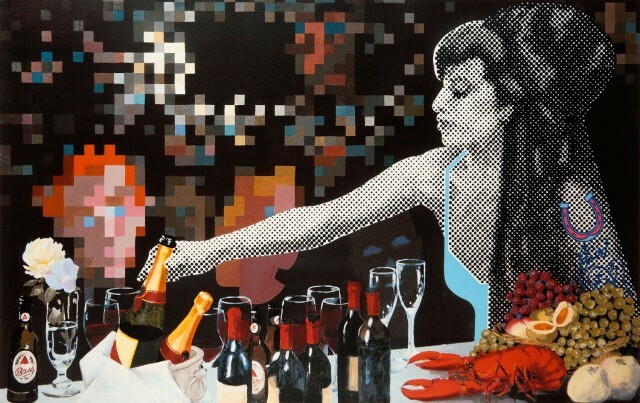 By the twenty first century Laing had gone full circle back to his pop art roots with paintings and screenprints of Amy Winehouse and the Gulf war. In his work Laing was always a key 20th century icon maker providing a looking glass to wider social changes.